President Obama on feminism and why it matters. 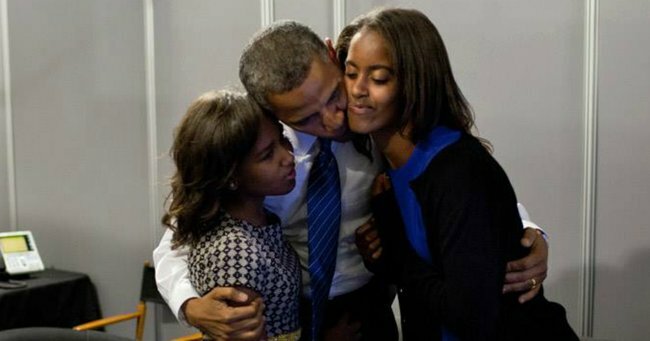 Barack Obama's one unbreakable rule for raising daughters. As his Presidential tenure draws to a close, Barack Obama has penned a powerful essay on feminism, explaining exactly why he proudly embraces the ‘feminist’ label so many others shun. There’s one reason, he says. Well, two actually. His daughters, Malia and Sasha. One of the most surprising aspects of being President of the United States, he says, is that living and working in The White House gave him more time with his family. “I’ve been able to spend a lot more time watching my daughters grow up into smart, funny, kind, wonderful young women. "That isn’t always easy, either—watching them prepare to leave the nest. But one thing that makes me optimistic for them is that this is an extraordinary time to be a woman. The progress we&apos;ve made in the past 100 years, 50 years, and, yes, even the past eight years has made life significantly better for my daughters than it was for my grandmothers. And I say that not just as President but also as a feminist." Obama also admitted that when his daughters were growing up, the burden of looking after them would often fall unfairly on the shoulders of his wife Michelle and she, along with his own mother and grandmothers, had shaped his own feminism. Raised by a single mother, he says he watched as his grandmother worked her way up in a bank only to hit a glass ceiling, which was not something he wished for his own daughters. It&apos;s not just women who are negatively impacted by out-dated gendered stereotypes either and growing up, raised by women, Obama says he came to realise their was no right or wrong way to "be a man". "Life became a lot easier when I simply started being myself. "We need to keep changing the attitude that permits the routine harassment of women, whether they’re walking down the street or daring to go online. We need to keep changing the attitude that teaches men to feel threatened by the presence and success of women. 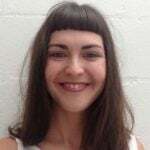 "We need to keep changing the attitude that congratulates men for changing a diaper, stigmatises full-time dads, and penalises working mothers. We need to keep changing the attitude that values being confident, competitive, and ambitious in the workplace—unless you’re a woman. Then you’re being too bossy, and suddenly the very qualities you thought were necessary for success end up holding you back. "We need to keep changing a culture that shines a particularly unforgiving light on women and girls of colour. "Because of Hillary Clinton, my daughters, and all of our sons and daughters, now take for granted that a woman can be president of the United States." This sentiment is echoed throughout her husband&apos;s piece, with Obama giving "spouses and partners and boyfriends" a call to action to start creating truly equal relationships. "Two hundred and forty years after our nation’s founding, and almost a century after women finally won the right to vote, for the first time ever, a woman is a major political party’s presidential nominee. No matter your political views, this is a historic moment for America. And it’s just one more example of how far women have come on the long journey toward equality. "That’s what twenty-first century feminism is about: the idea that when everybody is equal, we are all more free," he ends. You can read the piece in full on Glamour.